This debut mystery revolves around thirty-year-old Pirio Kasparov, New Englander of Russian descent and heiress to a high-end perfume company. While out lobstering with her fisherman friend Ned, their boat is deliberately rammed by a freighter and only Pirio survives the extreme cold of the North Atlantic. Sign aboard with Pirio as her exploration for answers starts on the docks of Boston and finishes near the Arctic, with a detour along the way to Florida at the request of the United States Navy - how did Pirio survive in the freezing Atlantic? This engaging novel interweaves Pirio’s life with subjects such as perfumes, endangered species, alcoholism, and family relationships. Will Pirio find the why of death on the ocean – both human and animal – and those responsible? This is an intriguing thriller for readers who enjoy the intermingling of social classes, voyages on the seas or life in New England. Elisabeth Elo's debut novel introduces Pirio Kasparov, a Boston-bred tough-talking girl with an acerbic wit and a moral compass that points due north. When the fishing boat Pirio is on is rammed by a freighter, she finds herself abandoned in the North Atlantic. Somehow, she survives nearly four hours in the water before being rescued by the Coast Guard. But the boat's owner and her professional fisherman friend, Ned, is not so lucky. Compelled to look after Noah, the son of the late Ned and her alcoholic prep school friend, Thomasina, Pirio can t shake the lurking suspicion that the boat's sinking and Ned's death was no accident. It's a suspicion seconded by her deeply cynical, autocratic Russian father, who tells her that nothing is ever what it seems. Then the navy reaches out to her to participate in research on human survival in dangerously cold temperatures. 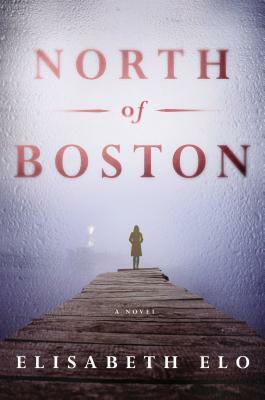 A gripping literary thriller, "North of Boston "combines the atmospheric chills of Jussi Adler-Olsen with the gritty mystery of Laura Lippman. And Pirio Kasparov is a gutsy, compellingly damaged heroine with many adventures ahead. Elisabeth Elo teaches writing in the Boston area. She lives in Brookline, Massachusetts. "Set on the gritty Boston waterfront, Elisabeth Elo's novel starts off as a murder mystery and slowly builds into something larger and more disturbing. North of Boston is a gripping and unorthodox thriller, packed with intriguing characters and unexpected twists." "I wish I had a friend like Pirio Kasparov—intelligent, loyal, brave, and funny. From the opening pages of North of Boston I was enthralled and deeply committed to following Pirio wherever her brilliant author decided to send her next. What a terrific novel." "In North of Boston, Elisabeth Elo has written a modern, sophisticated, and compelling thriller. Her plot is original, her details deft, and her heroine utterly remarkable." "Tough and smart, Pirio Kasparov comes alive in this fast-paced novel of unconventional plot twists and damaged relationships." "Pirio Kasparov, the no-nonsense star of Elisabeth Elo’s debut novel, North of Boston, is a multifaceted character. Like its protagonist, North of Boston is many things—a murder mystery, an environmental thriller, and a domestic drama." "North of Boston grapples with and melds seemingly disparate subject matter (commercial fishing, perfume, alcoholism, issues of class, environmental consciousness, self-determination) in an original and entertaining way . . . Judging from North of Boston, Pirio’s next puzzle promises to be nothing short of unpredictable and exciting." "Gritty downtown Boston and the awe-inspiring but unforgiving North Atlantic coast come to life in Elisabeth Elo’s debut suspense novel . . . readers will . . . be rooting for the doggedly determined Pirio right to the end."